For the first time in nearly a century, echoes of socialism are once again reverberating in the United States. Despite waves of “red scares,” which reduced socialism to a political disease, current opinion polling suggests that substantial numbers of U.S. citizens, especially among younger cohorts, now consider socialism preferable to capitalism. What socialism means in the twenty-first century, however, appears inchoate – especially when its new American avatar, Bernie Sanders, most often praises Franklin D. Roosevelt’s New Deal and neglects the heyday of socialism in the United States from 1910 to 1918. It’s a shame that Sanders, who once made a documentary on Eugene V. Debs, has not said much about earlier American socialist movements during his campaign – not only because such neglect buries a vibrant history of struggle, but because it’s precisely the experiences of the movements of the past that may help us navigate some of the major challenges in building an organized socialist movement today. Like us, earlier socialists struggled to unite a fragmented and heterogeneous working class, fuse extra-parliamentary struggle with electoral politics, counter the machinations of the Democratic and Republican Parties, and above all, make socialism a real part of people’s daily lives. And for a time, they succeeded. Let us therefore look back to this period, when socialism appeared as an actual political alternative in the United States, to see what it meant to its followers, how its proponents practiced politics, what socialists did when they obtained political power, and, most importantly, how they overcame some of the dilemmas they faced while crashing against others. The party that Debs spoke for and for which he campaigned for the presidency four times – in 1904, 1908, 1912, and 1920 – formed at a national convention in 1901. 2 The convention brought together a number of disparate groups including Jewish and other urban immigrants who had rebelled against Daniel DeLeon’s control of the Socialist Labor Party; Victor Berger’s Austro-German Social Democratic organization based in Milwaukee trade unionists; and what might be deemed the Debs’ following: remnants from his American Railway Union, agrarian and worker ex-Populists, Christian Socialists, and individuals transfixed by Debsian rhetoric. Convention delegates named their new organization the Socialist Party of America (SPA), and created a coalition as diverse as those constructed by the Republican and Democratic parties. During its first decade the SPA experienced steady but not spectacular growth. Aside from the firm roots it planted in Milwaukee where the organization led by Victor Berger threatened the political power exercised by Democrats and Republicans in the city and county, the SPA posed little threat to the established parties. But it did have voice as reflected in its widely read newspapers and journals in numerous languages and its soapbox orators who captured the attention of crowds on city street corners and at rural camp meetings. The party published daily newspapers, such as Milwaukee’s Social Democratic Herald and New York’s Call as good or better than the other city dailies, and New York’s Yiddish-language Vorwaerts (“Forward”) was the nation’s most widely read foreign-language newspaper. The SPA also published two popular mass circulation periodicals (The Appeal to Reason, out of Girard, Kansas and the National Rip-Saw out of St. Louis), two theoretical and learned journals with global coverage (International Socialist Review and The New Review), along with journals issued by such unions as the International Ladies’ Garment Workers, the Amalgamated Clothing Workers (post-1914), the United Mine Workers, the United Brewery Workers, the International Association of Machinists, and the Western Federation of Miners, which promoted socialist principles and concepts. Smaller circulation papers and journals appealed to nearly every foreign language readership in the nation. Thus, before the SPA had much electoral success it developed a loud and effective political voice – and this effectiveness was fully tied to multiple modes of address. What had happened in the United States was part of a global labor uprising that enveloped Western and Northern Europe, where equally massive strikes paralyzed major economic sectors. Germany, France, and Britain required military intervention to quell class conflict. Spain and Italy produced syndicalist and anarcho-syndicalist counterparts to the U.S. IWW, and migrant workers from both nations, especially Italy, traveled around migratory circuits that often took them to the United States. In Germany especially but also in the German-language dominant Austro-Hungarian Empire, France, Italy, and southern Europe socialists began to make substantial electoral inroads. Even in Britain a Labour Party emerged independently of the Liberal Party and its Lib-Lab coalition. Suddenly a socialist tidal wave seemed to sweep across the industrial world, the United States included. In the era of the Second International (1881-1919), socialists everywhere thought that they were riding history’s express train on an unimpeded track whose destination was a coöperative commonwealth among equal citizens. Socialism acted as part of the general wave of reform sentiment sweeping the nation associated with the Progressive era. Indeed one of the more notable progressive reformers, Charles Sprague Smith, an influential New York progressive and founder of the popular People’s Forum, wrote to SPA leader Morris Hillquit that “what I feel about Socialism is that it is a very important element in the whole Progressive movement…” 4 In the 1912 presidential election, 75 percent of voters chose change in one form or another. Only 25 percent opted for the candidate of the status quo, William Howard Taft; the vast majority cast ballots for Debs, Woodrow Wilson, the eventual victor, or Theodore Roosevelt, who ran as a progressive outside the Republican party. Equally remarkable was the SPA’s attraction for leading intellectuals, literary celebrities, and artists. The membership list for Local One of the New York City SPA, which spread from Greenwich Village through Chelsea on the West Side, read like a who’s who of the city’s cultural élite. Among its members at one time or another were the novelist Theodore Dreiser, writer and editor Max Eastman and his sister, the lawyer, journalist, and feminist Crystal Eastman, the painters John and Anna Sloan, the journalist Mary Heaton Vorse, the notable female reformers Florence Kelley and Frances Perkins, the socialites William English Walling, Robert Hunter, J. G. Phelps-Stokes, and the young Walter Lippmann. Such African American radicals as W.E.B. Dubois, A. Philip Randolph, and Hubert Harrison found for a time a comfortable home in New York’s SPA. Elsewhere such prominent literary figures as Jack London, Upton Sinclair, and Carl Sandburg joined the party. Unable to resolve the internal divisions arising from immigration, race, and gender, socialists insisted that racism and misogyny would be superseded with capitalism and its class distinctions, relieving their program of any present responsibility. While this treatment of those distinct oppressions leaves much to abhor, we should be careful about how we criticize them. Situating racism and misogyny, for instance, in the dynamics of capitalism has been a cornerstone of the black radical and Marxist Feminist traditions. The deficiency of SPA’s approach came not from a narrow preoccupation with the working class, but an improper theorization of how the class was structured by those other elements of the social formation. It was a failure to impute struggles around immigration, race, and gender with a socialist content, and produce, beyond the fragments, a unified proletariat. The greatest dilemma for U.S. socialists remained how to convert the majority of trade unionists and workers to their cause. Unlike continental Europe where socialist parties and trade unions emerged together and where socialists often birthed unions, in the United States nearly all the affiliates of the AFL and the largest unaffiliated unions were founded before the birth of the SPA. 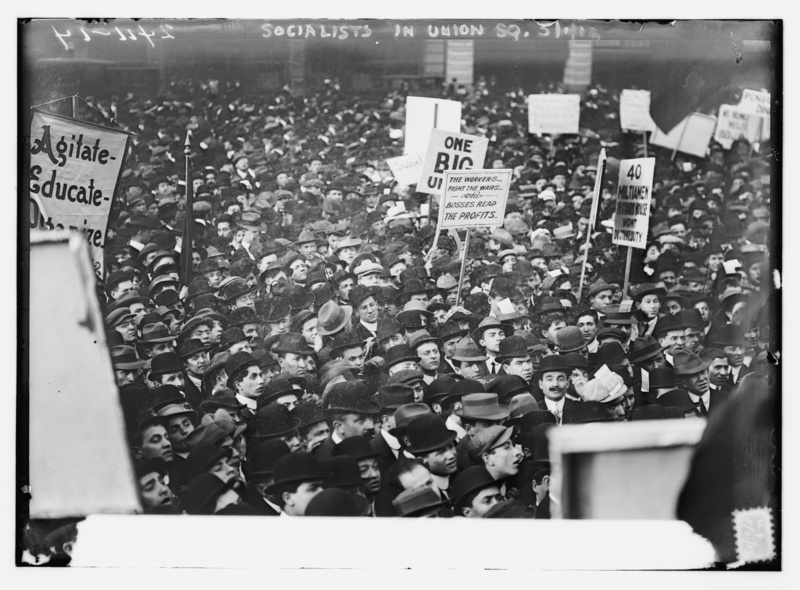 Unlike Europe, where the socialist movement was instrumental in winning franchise rights for workers, in the U.S. adult male workers obtained the right to vote prior to the emergence of socialism and developed loyalties to one of the two major parties. Unions in Europe and the United States, moreover, existed to bargain with employers and protect workers’ rights on the job. How then might unions bargain regularly with employers and still remain faithful to a movement committed to expropriating capitalists? In other words, how could socialist unions function effectively within an existing capitalist system and still maintain a Marxist, revolutionary position? The realities of the American trade union movement also limited socialist success. Gompers and the political machine that he constructed within the AFL waged ceaseless warfare against socialist penetration of the Federation. And among the unions led by socialists, the more they succeeded in wresting concessions from employers with whom they bargained, the less socialism appealed to the rank and file who took the money and ran. None of this, however, dissuaded American socialists prior to World War I that their future prospects were circumscribed. At first U.S. participation in the war redounded to the advantage of the SPA. Unlike European socialists who had fractured when war erupted in the summer of 1914, with the majority among them choosing nationalism over internationalism, the SPA categorically rejected U.S. entry into the conflict and initially paid no political price for its decision. In fact, in New York City and elsewhere the SPA won electoral victories in municipal and state elections in 1917 and 1918. Morris Hillquit amassed more votes in 1917 as a candidate for New York mayor than any previous third-party candidate, and the SPA elected ten state assemblymen, five aldermen and a municipal judge. A year later the SPA amassed as many votes but managed to elect only one of its candidates (a state assemblyman) because in all the other state assembly districts and Meyer London’s congressional district, the Democratic and Republican parties ran joint candidates. The Milwaukee party experienced similar success maintaining its control of local government and returning Berger to Congress. 13 Local electoral successes in 1917 and 1918, however, disguised a more somber reality. The SPA may have rejected U.S. participation in the war but only at the cost of losing many of its U.S.-born members, several of whom became active servants of the Wilson wartime administration. Despite decades of defeat, it’s undeniable that socialism has once again crept back into the mainstream. In 2011, a Pew Poll revealed that 49 percent of Americans under thirty had a positive view of socialism, a finding confirmed in more recent polls. Nothing illustrates this new openness to socialism more than the candidacy of Bernie Sanders. But even with this new energy, a number of questions and challenges remain. What, for example, does socialism mean to all those who profess an openness to it today? A reborn New Deal, the abolition of capitalism altogether, or something in between? Just as socialists ceaselessly debated and discussed the meaning of the term a century ago, we will have to collectively redefine socialism for our own time. More importantly, even if socialist sentiment is undeniably on the rise, an organized socialist movement is only in its infancy. As we continue to reflect on how to transform this new interest in socialism into an organized political force, the preceding history of the SPA could provide some direction. Of course, historical conditions have changed enormously. Gone are the days of growing industrial factories, a relatively limited and decentralized state, and a seemingly ever-expanding labor movement – all factors in the SPA’s rise. Nevertheless, some of the keys to the SPA’s success may still serve us today – the need to encourage a vibrant, diverse, multi-lingual socialist press; to link with immigrant struggles; to foster a socialist ecosystem composed of various overlapping groups, associations, and movements; and to connect with the self-activity of different kinds of workers across the country, which, in our time, might help revitalize a militant workers’ movement. Above all, the SPA highlighted the strategic potential of electoral struggle. In the early twentieth century, socialists built a movement on the dynamic circuit between electoral struggle on the one side and the innumerable extra-parliamentary struggles on the other. It remains to be seen if the Sanders campaign – as well as other, more local, electoral campaigns – can do the same today. In this respect, the history of the SPA may once again offer some insight by highlighting the many limitations, challenges, and dangers of socialist organizing, especially at the electoral level. Can the Sanders campaign effectively connect with pre-existing struggles, such as the fight against racism or the struggle for a fifteen dollar minimum wage and a union? Is his campaign opening spaces for other socialists to run for office at a state or local level? And are the Democrats poised to once again sweep up the hard work done by socialists? These are the questions we must answer as we try to redefine “socialism” for the twenty-first century and forge an autonomous socialist movement. 1. ↑ Two excellent biographies offer readers all they need to know about how and why Debs became a socialist and the sources of his popular appeal. Ray Ginger, The Bending Cross: A Biography of Eugene Victor Debs (New Brunswick, NJ: Rutgers University Press, 1949) and Nick Salvatore, Eugene V. Debs: Citizen and Socialist (Urbana, IL: University of Illinois Press, 1982), the more recent and perceptive study. 2. 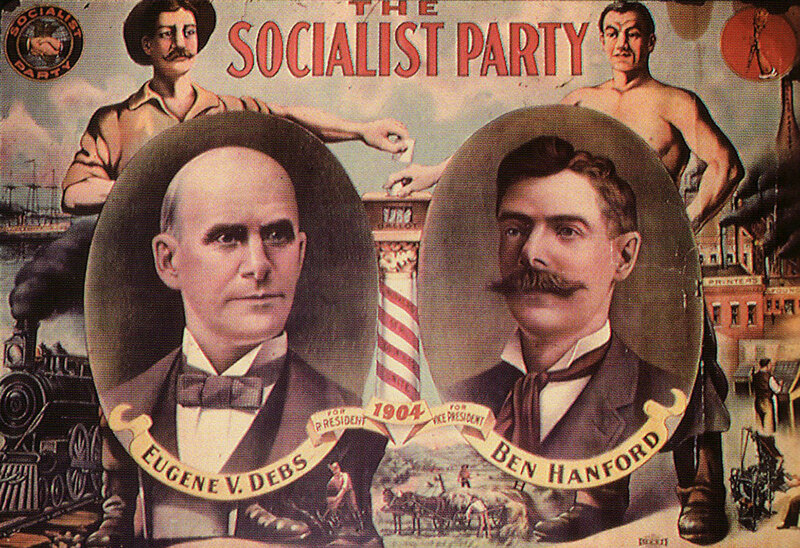 ↑ During his first run for the presidency, in 1900, Debs ran on the Social Democratic Party of the United States (SDP) ticket, since the Socialist Party of America had not yet been formally established. 3. ↑ For an older but still useful history of the party, see David Shannon, The Socialist Party of America (New York: Macmillan, 1955). For more recent and superior histories, see James Weinstein, The Decline of Socialism in America, 1912-1925 (NY: Monthly Review Press: 1967), chapter 2 for the heyday of socialist electoral success, and Jack Ross, The Socialist Party of America: A Complete History (Lincoln: Potomac Books, 2015), chapters 5-6. 4. ↑ Melvyn Dubofsky, “Success and Failure of Socialism in New York City, 1900-1918: A Case Study,” Labor History 9 (Fall 1968): 374. 5. ↑ Judith Walzer Leavitt, The Healthiest City: Milwaukee and the Politics of Health Reform (Madison: University of Wisconsin Press, 1996) and Sally Miller, Victor Berger and the Promise of Constructive Socialism, 1910-1920 (Westport, CT: Greenwood Press, 1973), see especially chapters 2-4. 6. ↑ James R. Green, Grass Roots Socialism: Radical Movements in the Southwest, 1895-1943 (Baton Rouge: Louisiana State University Press, 1978); Carlos Schwantes, Radical Heritage: Labor, Socialism, and Reform in Washington State and British Columbia, 1885-1917 (Seattle: University of Washington Press, 1979). 7. ↑ Dubofsky, “Success and Failure,” 363. 9. ↑ Miller, Victor Berger, 51-53. 10. ↑ Mari Jo Buhle, Women and American Socialism, 1870-1920 (Urbana, IL: University of Illinois Press, 1983); See also, Weinstein, The Decline of Socialism, 53-73. 11. ↑ Ross, The Socialist Party of America, chapters 5-6. 12. ↑ Dubofsky, “Success and Failure,” 366-72. 13. ↑ M. Dubofsky, “Success and Failure,” 370-72; Weinstein, The Decline of Socialism in America, chapters 3; Ross, The Socialist Party of America, chapters 6-7. 14. ↑ J. Weinstein, The Decline of Socialism in America, chapters 3-4; Ross, The Socialist Party of America, chapters 7-8. 15. ↑ Irving Howe, The World of Our Fathers (New York: Harcourt, 1976), 393. 16. ↑ Ross, The Socialist Party of America, chapters 12-20 provides the most complete history of the SPA’s sad later years. Melvyn Dubofsky is Distinguished Professor of History & sociology Emeritus at Binghamton U. SUNY. Has served as Fulbright Professor at Tel Aviv University and University of Salzburg, Austria and the John Adams Professor of American History at the U. Of Amsterdam. Also taught with EP Thompson at Centre for Social History, U. Of Warwick. Author of numerous books and essays in US labor history, including We Shall Be All: A History of the Industrial Workers of the World and Industrialism and the American Worker, 1865-1920.